Seabuckthorn Best Skin Ever, resets skin to its natural state of luminous grace! Created with harmonious, organic oils perfect to bring into balance every skin type, Seabuckthorn Best Skin Ever is brimming with nourishing bioactive botanical compounds. Skin sings under the care of Seabuckthorn and all her attentive tissue-attendants that absorb effortlessly into the skin, infusing tired tissues with a kaleidoscope of botanical blessings. Our Golden Jojoba melts into endless moisture, working with Coconut and Lavender to supple and, balance the skin. Brilliant berries of Tamanu inspire the freshest skin, while rich roots of Vetiver balance sebum in the skin. Grapefruit tightens and tones as Palmarosa nourishes and adores each pore. Seabuckthorn (Hippophae rhamnoides) Essential oil – Seabuckthorn sends its lipids deep into the skin, diminishing imbalances from the inside out. This supercritical extract is packed with omega fatty acids 3, 6, 7, and 9, antioxidants, vitamin, palmitoleic acids, carotenoids, and phytosterols. A single drop of seabuckthorn oil contains 190 different bioactive compounds. This bright orange essence is incredibly regenerative and complexion clearing – relaxing redness and paring puffiness. Seabuckthorn is an excellent addition to cleansers for acne. It helps to harmonize skin with sun. Jojoba (Simmondsia chinensis) Essential oil – Glorious, golden jojoba nourishes and conditions thirsty skin. Jojoba has unparalleled ability to moisturize the skin, balance oil production, deep clean pores, and create long-lasting conditioning effects that soften skin to perfect silk. It is packed with peptides and lipids, and contains the highest levels of phenolic compounds found in nature, not to mention tocopherols, antioxidants, and all soluble forms of vitamin E! Virgin Coconut (Cocos nucifera) Oil – Our pure, pristine virgin coconut oil satiates skin, offering magnificent moisture and resilience. Coconut oil is smoothes the appearance of fine lines and wrinkles, and protects the skin’s moisture barrier. Tamanu (Calophyllum inophyllum) Oil – Enchanting tamanu is a replenishing berry oil that is easily absorbed deep into the skin to keep moisture in and shelter the skin from dryness. Tamanu is said to even skin tone and reduce the appearance of scars. Even for a fatty oil, it has a high (92%!) lipid content. Lavender (Lavandula angustifolia) Essential Oil – Lovely lavender is a gentle-yet-powerful skin tonic that is restorative and calming. It relaxes redness and cools heated. Lavender can be used to improve the appearance of scars, even out skin tone, soothe acne, and balance the skin’s sebum levels. Vetiver (Chrysopogon zizanioides) Essential Oil – Rich, earthy vetiver Rich, earthy vetiver oil is grounding and calming for the skin, anointing the skin as the rain anoints the grass. Vetiver is a known moisturizer that helps skin maintain its pleasant plumpness while soothing tired tissues and balancing sebum production. Grapefruit (Citrus x paradise) Essential Oil – Toning, tightening grapefruit refreshes the skin while toning the appearance skin texture. Palmarosa (Cymbopogon martini) Essential Oil – Pleasant palmarosa is distilled from a tropical, fragrant grass resulting in an aromatic oil that smells like a lemony-geranium-rose and is simply splendid for the nose! This formidable skin rejuvenator is rich in mighty monoterpenols, emollient esters, loving linalool, and generous geraniols. It is packed with beneficial botanical compounds. This potent oil tones and rejuvenates the skin. It is used to support radiant skin and to achieve balance between oiliness and dryness. I buy this by the 1000ml because it’s liquid gold! It lasts me well over a year and I use it for everything! Cleansing and moisturising my face and body, as a leave in deep conditioner for my hair, add a little to my hair to stop frizz and flyaways, massage oil, cuticle oil… you name it! It’s amazing for acne, stretchmarks and so many other things. I decant it into a smaller bottle for travel and only need to take one bottle with me instead of a wash bag full of different products. It’s definitely a holy grail product! The sea buckthorn oil in one of the Best Skin Ever products truly helped me start the best process with my skin. I am a true Living Libations student. A few years ago I was pronounced with “Adult Cystic Acne” through a dermatology office. The next couple of years were filled with doctors visits, chemical peels, and intensive skin regimes. There were nights I cried because the pain coming from my face would not allow me to be expressive in any sense, not even a smile. I woke up one morning and decided to abandon the chemical filled bottles that had been prescribed to me, I needed to quit how the western medical system was handling this issue. 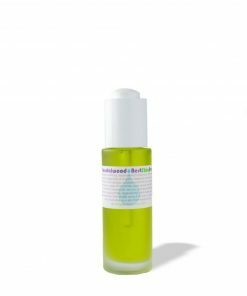 I had used your Best Skin Ever oil in the past and it felt SO luxurious, but I wasn’t so sure about how my intense condition would react – especially after being scarred by some pretty horrifying new product experiences. But, your alchemy is magic. The sea buckthorn oil in one of the Best Skin Ever products truly helped me start the healing process with my skin. THANK YOU. 7 years and still love it! I have been using SBBSE for 7 years and I love it. The very first Libation I tried and still my favorite. I have normal to dry skin and used only coconut oil before, but it always felt greasy. SBBSE goes on beautifully and is absorbed well. I use it to wash and moisturize the face and moisturize my body. When, I travel it is all I bring. My skin continues to feel nourished and dewey. It is the most versatile product that is so amazing and can be used in so many ways. I love this beautiful oil! It takes care of everything for my whole family! Thank-you for making such a pure and effective beauty product! Please never stop! In five days my skin looks 80% clearer almost porcelain like. I just want to say that I’ve been struggling with adult hormonal acne for three years with periods of no flareups (a lot of it is stress induced) and have been so lost when it comes to skincare. I tried it all, chemical skincare and some high and natural products that all claimed they were going to transform my skin. They never did. In fact, they always made my skin dry, irritated or even more bumpy. I found living Libations and took the chance on it. Not going to lie I was TERRIFIED of the oil cleansing method because I’ve used other natural oil cleansers with no avail. Five days ago I decided to throw out all of my beauty products except Seabuckthorn Best Skin Ever, Zippity Dew Dab and my retinoid. In just five days I’ve seen a change in my skin that no other skincare has been able to do for me in years. My skin is soft, smooth, hydrated and clearing up at an alarming rate. I listened to Nadene and realised our skin is not dirty and there is no need to overwash especially with harsh cleansers. Now I just wash my face once a day (who knew I could get away with this after washing my face 2 to 3 times a day before cause my skin was so oily). I only splash Water on my face in the morning and oil cleanse at night (sometimes I double cleanse with Best Skin Ever). I was also scared of using a face towel cause I always thought my skin was sensitive but with the oil and gentle pressure I exfoliate on a regular basis and my pores seem to be loving that. I just wanted to give my testimonial in case anyone out there is deciding on whether or not to give living Libations a try. It works, it’s affordable and I feel like it’s infused with fairy magic for your skin. You should be able to see results like these with your skincare. I don’t believe skincare should cause months of “purging” to me that is a sign your skin does not like the product. In five days my skin looks 80% clearer almost porcelain like. Now I just have to work on my acne pigmentation. Will continue to purchase and can’t wait to try more products from their line. Thank you so much Nadine. I’m very impressed!! I’ve only been using it for 2 weeks but my skin has cleared a lot!! I’ve always had troublesome acne, recently I found out it’s hormonal. I bought a smoothie blender to take care of myself internally, well using your products to take care of myself externally. I seriously never expected my skin to change this quickly! I have deep scarring, acne break outs and skin indentations. The appearance of my scarring is going away. My acne is less frequent… All in a two week period! That’s insane! ???????? I… I’m so glad I ordered from you! Can’t wait to order more!! My self-esteem was very low and I was cancelling plans with friends and family because I was very embarrassed to show my face. I spoke to my boyfriend about this product and what I heard about oil cleansing; I was very skeptical at the beginning, but my boyfriend decided to give me one of the best gifts ever. He bought Living Libations Best Skin Ever Seabuckthorn as a surprise and I could honestly say this product changed my life. I’m super thankful for this product and just know you now have a faithful customer for life. THANK YOU for giving me my confidence back!!! 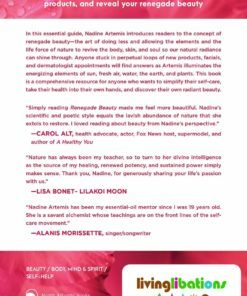 Nadine takes skincare to a whole new level. I’ve never experienced ANYTHING like Seabuckthorn oil for my acne scarring. Specifically, Living Libations brand. 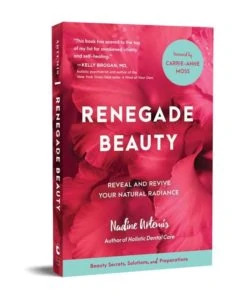 Nadine takes skincare to a whole new level. She also has a delicious Rose Glow Serum (which is as divine as it sounds) & I use it nightly. Take a peek at her website – I bet you’ll fall in love! There is nothing else like this product! When I first heard of oil cleansing a few years back, I thought it was crazy and I would never do it. Why would I cleanse my oily Italian, acne prone skin with oil? I was wrong! This has to be the best method I’ve ever used to clean my skin (and I’ve tried it all). It actually makes the most sense to cleanse your skin with natural oils. Using the “like dissolves like” principle, when plant-based oils are applied to skin, excess oil produced by your skin dissolves. I’ve been using @livinglibations Best Skin Ever for 2 weeks now, and my skin’s clarity has improved drastically. Usually an hour after washing my skin, it feels dirty and oily. With this, my skin feels clean throughout the entire day. It’s still so weird for me to believe this. To use, I just pump a few drops onto clean hands and massage it onto my face for a few minutes. Then I take a clean organic washcloth and wet it with hot water and remove the oil. This stuff is a miracle for skin! It’s an all-in-one cleanser, exfoliator, and moisturizer in one. My skin care routine is so simple now. 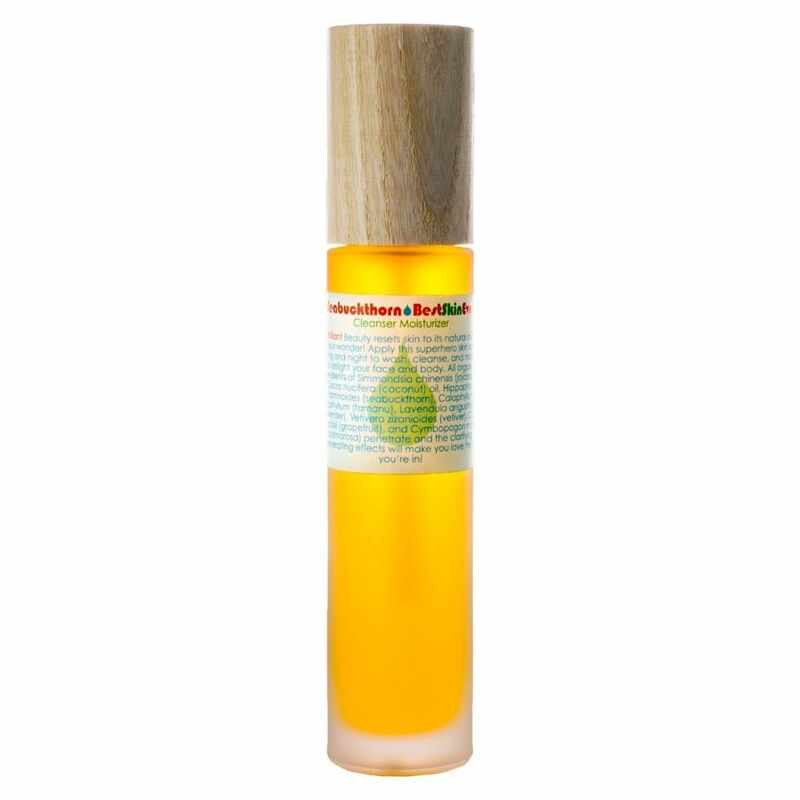 Seabuckthorn Best Skin Ever is packed with omegas, vitamins, and lipids. There is nothing else like this product! I really love the scent, the quality and the packaging but this unfortunately broke me out really bad. I have very sensitive and acne prone skin. This does not mean I have acne but I tend to break out really easy from a lot of things. Since I read so many good reviews I still purchased knowing it has coconut oil in it which is highly comedogenic. If your skin does not like coconut oil or is really sensitive this is not for you. Now I use it for my hands and body and I have to tell that the concentration is great and it lasts a long time. I think I will still try the sandalwood one in the future which is the only one without coconut and advertised to be for sensitive skin. I recommend buying the small size for the first time to see how your skin reacts to it. 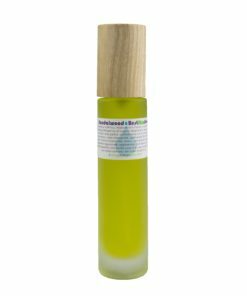 So I bought Seabuckthorn BSE for my acne and acne scarring, I was really skeptical about using oil on my oily skin to cleanse it, but after doing a ton of research, I was excited about getting my hands on this product! After two weeks of using it, I’ve seen a significant improvement in my scarring and cheek/jawline tissue! The oil is not only replenishing, and hydrating but it’s also restoring and creating new cells!! I never thought I’d see this big of an improvement. For the first time tonight, I decided to use it on my body as well and I’m so excited to see those results too!! Thank you Nadine for putting these amazing products on the market! I have a list of products I want to get next! 😉 so worth the money!! I started using Best Skin Ever Seabuckthorn one year ago and it is the perfect solution for me! It is so easy to use – clean & moisturize in one step, and if my skin is a bit dry I add an additional 1-2 drops after cleaning. It is perfect for travel since I only need one bottle for everything – I even use it on my body and as a light sunscreen. And: it smells so good – fresh & especially great for summer! True liquid gold! This was my first living libations product I purchased and I am in love with it (my skin is too!). The smell is so clean yet luxurious and the oil absorbs very well – I don’t feel greasy at all! Digging it 100% and can’t wait to explore more of their products! Agree with Charlie it is indeed liquid gold. It’s wonderfully nourishing for my mature, ageing skin. I have only just started to use it for cleansing. 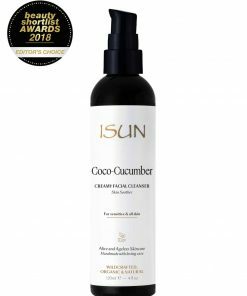 It leaves my skin super soft and moisturised compared to my usual plant based cleanser. Incredibly efficient when travelling. Highly recommend it for skin needing a little more moisture. Plus it’s starting to work wonders with my blemishes and scars. I ordered this oil cleanser after recommendation of an esthetician , it’s really gentle and hydrating , waiting to see how it’s improve my skin ! Choose your all-time spring favourite products with 10% discount.